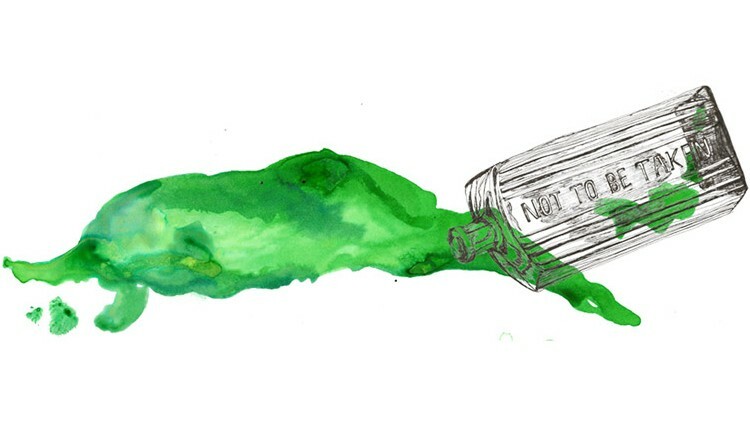 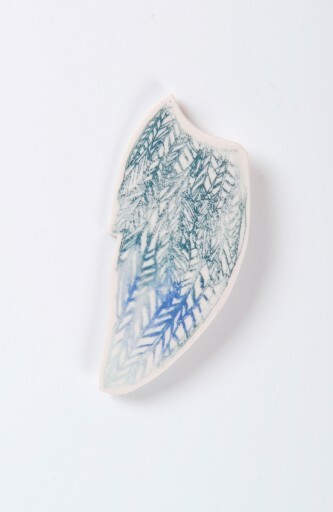 pieces that are playful and invite interaction and discovery. 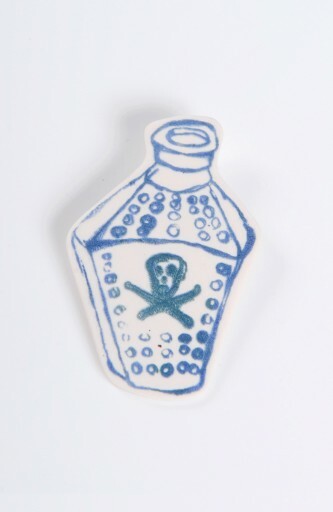 Coffin Shaped Poison Bottle, Screenprinted, Porcelain Brooch. 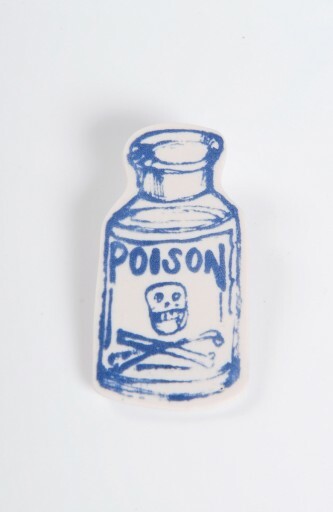 Screenprinted Porcelain Brooch inspired by Victorian bottles. 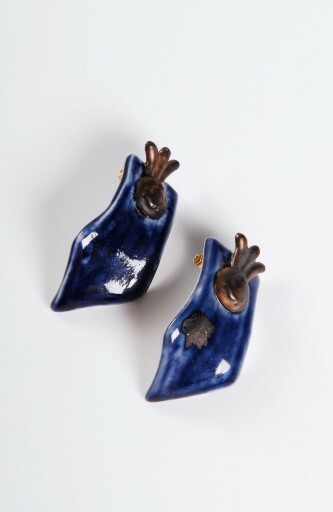 Royal Blue set of matching porcelain epaulettes inspired by Military decoration. 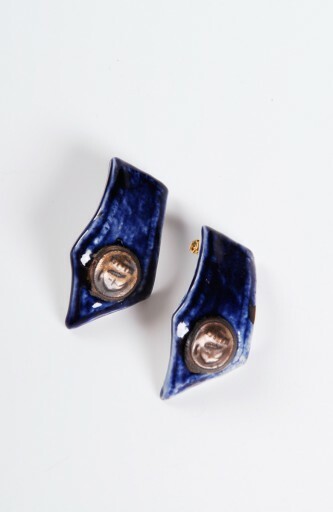 Anchor Button Royal Blue set of Porcelain Epaulettes inspired by Military decoration. 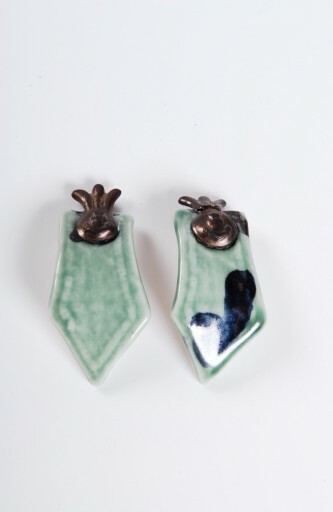 Turquoise set of Porcelain Epaulettes inspired by Military decoration.